Beorn Heorte is a painting that I started a long time ago and have only very recently completed, it was one of those pieces that needed time to deepen and grow and that was waiting for me to be ready too. 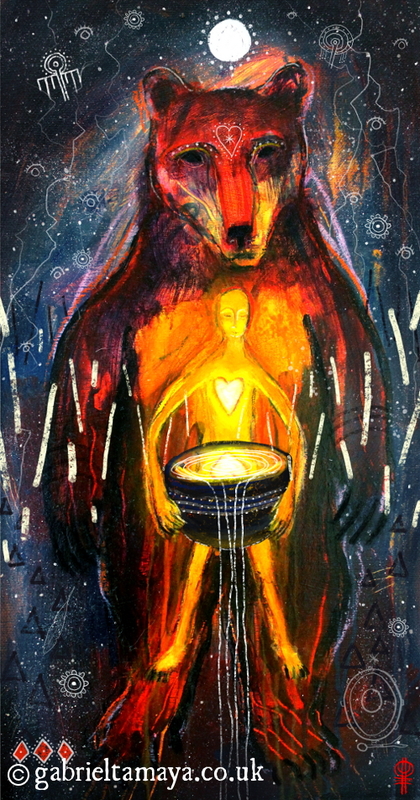 It is only since the immense deepening of my path after my initiatory experience earlier in the year that I have felt ready to complete this painting, this altar to Bear and our Ancestors. Now as we begin to enter the darker half of the year and with Hallows Eve fast approaching, it feels like the right time to share this piece online. 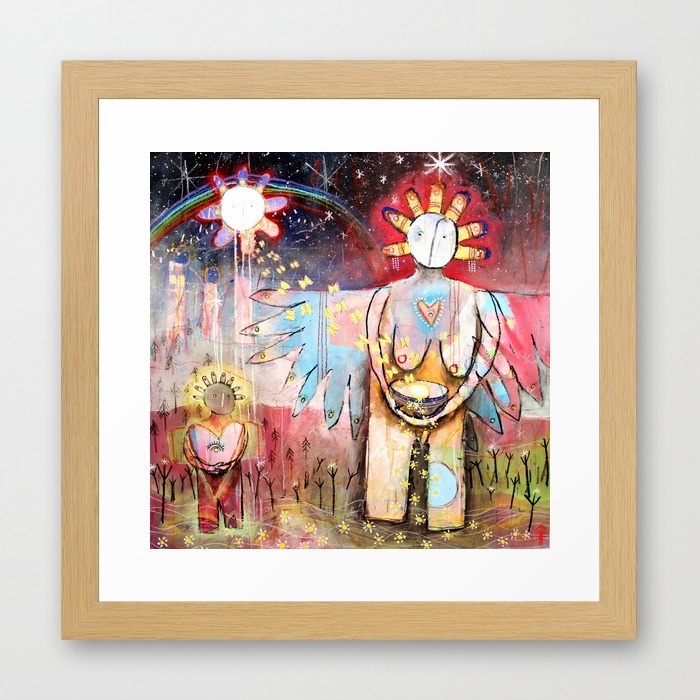 This painting came from some very deep and intense ancestral work, from seeking out my kindred and the lineages of spirits that have looked over, blessed and protected them for many generations. It is a reminder to each and everyone of us, that we all have such ‘Kin-Fylgja’ deep within our familial & ancestral bloodlines, looking out for us, our families and their welfare. Now, more than ever with the big paradigm shifts and changes going on in the world could we benefit from connecting or re-connecting with them. Wishing you all deep & blessed illumination as we enter the dark and silence, with abundant blessings from your ancestors.